You are here: Home / Blog / handwriting / Trolls Pencil Challenges – Free! 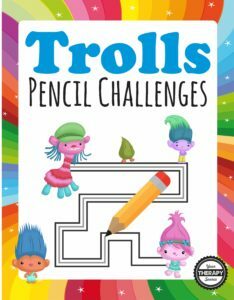 Trolls Pencil Challenges – Free! How cute are these trolls? Since I grew up in the 80’s, perhaps I am finding them even more adorable! This is a 5 page freebie from the Trolls Pencil Challenges packet. Children can practice visual motor skills with this fun troll themed activity. 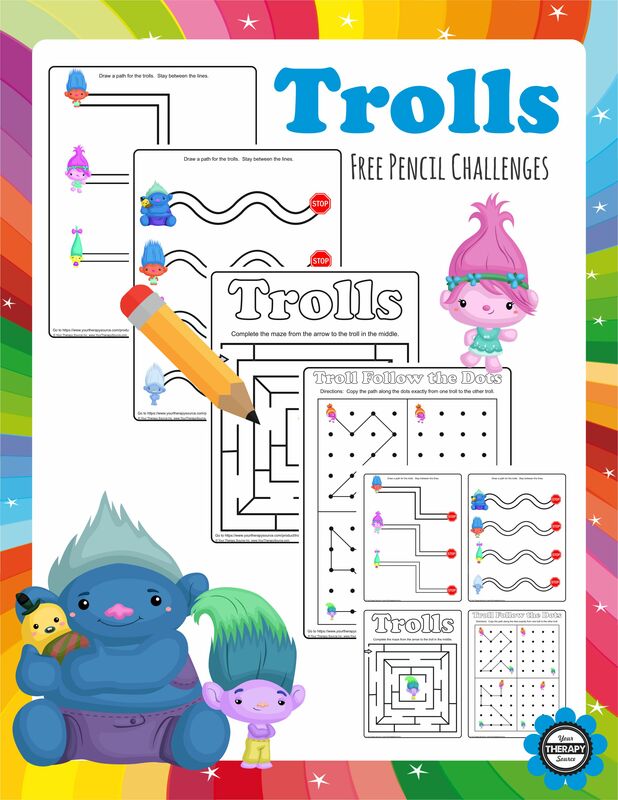 The complete Trolls Pencil Challenges download includes a HUGE collection of visual motor practice worksheets. Practice pencil control for vertical, horizontal, diagonal and curved lines. Most of the 40+ visual motor worksheets are available in easy or more difficult versions – great for differentiated instruction in group settings. The worksheets are in color. The worksheets progress in difficulty. Also included are 12 mazes that progress in difficulty and 5 Follow the Dot activities. The pencil challenges are provided as full page worksheets and also as smaller worksheets (4 to a page) to increase the difficulty of the task. This download is an excellent choice for: fine motor centers in the classroom, visual motor skill practice, special education classrooms and/or handwriting warm ups. Find out more information.